Happy March Break Geeklings! 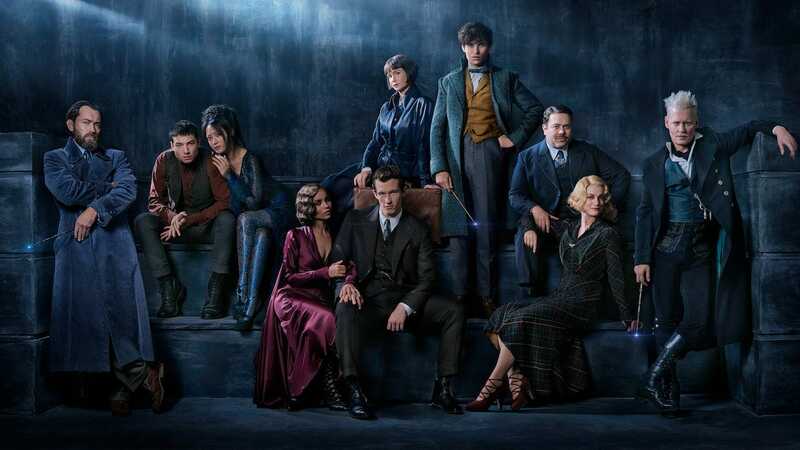 Hope you’re having a ton of fun, but if not I’ve got something fun for you today; our first trailer for Fantastic Beasts: The Crimes of Grindelwald. At barely 2 minutes, there is certainly a lot to unpack here. But first… AAAAAAAAAAAAAAAAAAAAAAHHHHHHHH! OK, fangirling over, let’s discuss. One of my favorite sites, Nerdist, does a great deep dive on this, but there’s a few things I’d like to point out. First, how awesomely amazing was it to see Hogwarts again? It’s like coming home! Second, Newt as a sort of secret agent? Certainly seems that way, as he’s working with Jude Law’s Dumbledore. What could they be working on? Third, a Wizarding World divided. Again. Or… before. This was several decades before the whole mess with Voldemort divided the wizarding community, so this thing with Grindelwald came first. Fourth, favorite characters are back. Newt of course, and Tina (love Tina’s new look), Goldie and Jacob (LOVE Jacob <3). Even Credence is back, and he’s apparently run off with the circus (it was the 1920s, you could do that back then). Sixth, beasts aplenty, including Thestrals and maybe a Hippocampus. Seventh, two words: WIZARDING CIRCUS! What is that even? How amazing is that going to be? They even have cotton candy! And I bet it’s somehow magic! Finally though, we’ve got to address the Erumphant in the room. Two of them actually. First, Johnny Depp, who plays our lead villain Gellert Grindelwald. Many fans are not happy he’s still in this movie, considering how he’s been accused of domestic violence by his ex wife Amber Heard. Though he hasn’t been officially charged or convicted of a crime there is still quite a bit of discomfort with this. What makes this such a touchy subject for fans is that many, many people have seen the Wizarding World as a haven from abuse, considering how that was one of the big themes of Harry’s saga; an abused kid who finds his home at Hogwarts. And the idea that the creators of these films would rally behind a potential abuser is not sitting well with people. And as Nerdist pointed out, the fact that we only see Grindelwald twice in the first trailer of the film that bears his name, could be telling. It could mean they’re saving it for later, or it could mean that the studio, though still on board with Depp being there, has heard the outcry and are trying to downplay it. The other issue is that apparently we are not getting one solitary hint about Dumbledore’s sexuality in this new film, even though the entire story centers around him and Grindelwald, which Rowling has confirmed Dumbledore was in love with. It’s a huge plot point, but we’re not going to get any mention of it. This is a common problem for mainstream movies. They cost so much to make that the studio wants to make a profit on them, and since in many places homosexuality is still very much taboo, a studio runs the risk of scaring off international markets if they show their characters as gay. The thing is fans are getting tired of not having any representation in their favorite franchises. They’re tired of everything being ‘implied’ and not outright stated. One of the big plot points in the first Fantastic Beasts film was how destructive and awful it can be when you have to hide and suppress who you truly are. The studios are undermining the messages of their own source materials by casting potentially abusive people and making sure a main character stays ambiguous. Fans are not happy. Anyway, there’s a lot of time between now and when the film comes out this December. We’ll see what happens. But what do you guys think? Post away in the comments section below or write your thoughts over on WriteIt. In the meantime, watch the first Fantastic Beasts film, or read the book, or check out the Harry Potter series if you haven’t yet. Or again. Have a great rest of the week Geeklings, and until next time, End of Line. Week of Geek Breaking News: The title of the next Fantastic Beasts movie revealed! Rejoice Wizarding World fans! The next film in the Fantastic Beasts and Where to Find Them series has a title and release date! AND a cast photo! Click here to learn more details about each character, and here for more about the movie. 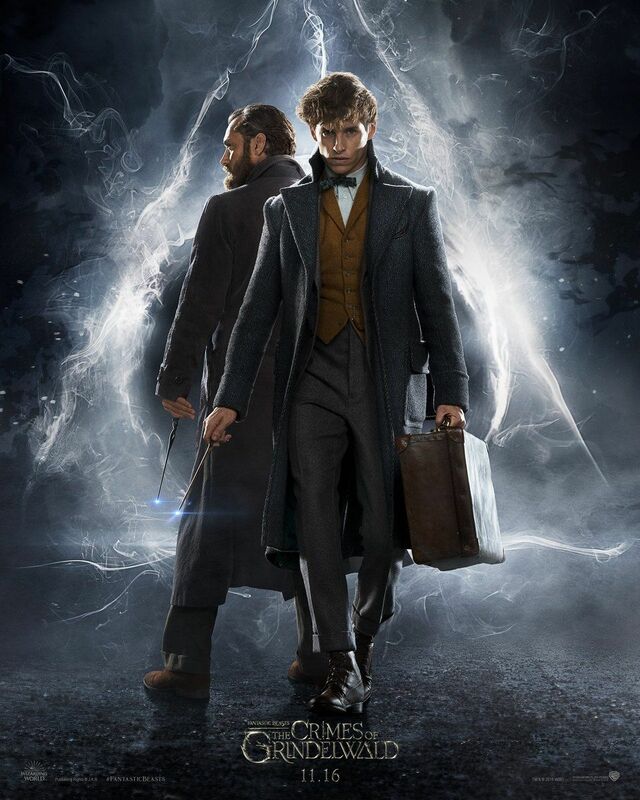 And while The Crimes of Grindelwald won’t be out until next November, go ahead and sign out Fantastic Beasts and Where to Find Them to catch up (find the textbook here and the screenplay here). Stay tuned for more, until next time, End of Line. Hello again Geeklings! It’s week 2 of our 6 part series on fandoms, gearing up for Vaughan Fan Con, so let’s dive right in, shall we? And in this particular fandom, there is a massive lake to dive into, so we’re set. So there is a fandom that, in my experience, nearly every librarian is a member of, or at the very least an appreciator of. Or at the very, very least aware of. It’s a franchise that started as a solitary book published 20 years ago, and it has since grown not only into a full fledged series, but a series of films, 2 amusement parks, a stage play, an awesome main website, spin-off books, spin-off films and more die hard fans world-wide than you can shake a Nimbus at. Not only is it beloved by young and old, but has been credited with re-establishing a love of reading for millions of people. Yeah, I’m talking about Harry Potter, but you already knew that. No legilimency required. First published in 1997, Harry Potter and the Philosopher’s Stone took the world by storm. 6 more books followed, covering all 7 years of young wizard Harry Potter’s time at the Hogwarts School of Witchcraft and Wizardry, handling things such as growing up, first crushes, the demands of school work and an influx of very evil wizards. Covering big themes such as good and evil, friendship, family, courage, doing what is right instead of what is easy, and so many other deep thoughts mixed with humor, great characters and a few laughs, it was almost impossible not to love Harry and friends. And this last June, on the 20th anniversary of The Philosopher’s Stone‘s publication, the world celebrated in a variety of ways, sounding off on the books impact on their lives whether it be 20 years ago or this very day. And with more movies from the Fantastic Beasts and Where to Find Them series coming up, there’s no end in sight. But how to really convey all of this? How to really explain what this means to the people who love it? How important is this? Well, one of the best ways that I’ve come across is the following video, which was released a few months ago for the 20th anniversary. Take a look. Honestly, there are stories like this everywhere. Of these books being a port in the storms of the lives of the people who read them. Of readers finding themselves in the characters, in the houses, in so much of what they were reading. That’s the true staying power of these stories. The fantastical elements are amazing, but what touches your heart and your mind… that’s what makes it so pivotal. So whether you’re a Gryffindor (yo! ), a Ravenclaw, a Hufflepuff, a Slytherin or something else entirely wear those colors proud and show the love. Any memories you have that you’d like to share? Post in the comments or write it on WriteIt. Stay tuned for more news and until next time, End of Line.